PowerStrip is a complete application with which we will be able to take total control of the configuration of our graphic card and our screen (being compatible with the vast majority of devices on the market), in such a way that is it as simple as possible to change any aspect, specially the size visualization, the color temperature or the GPU performance. - Options for screen color correction. - Possibility to manage several profiles. - Utility to adjust the graphic rendering in real time. 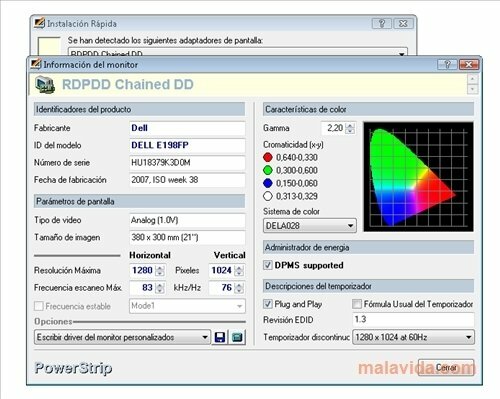 - Tools to optimize the clocking time, the brightness or the saturation levels, depending on the application that we are working with. 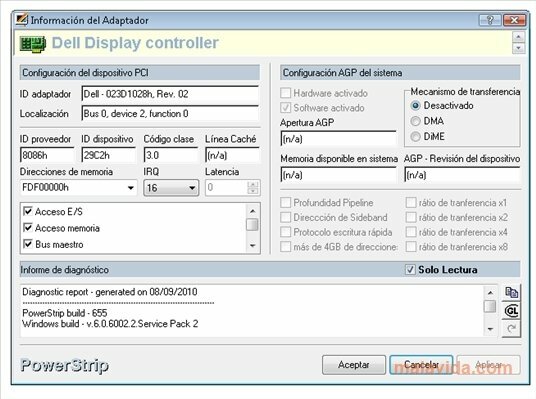 Obviously, it is an application developed for those people that need to have total control on the visualization options of their computer, causing less experienced users to get less profit from the tool. 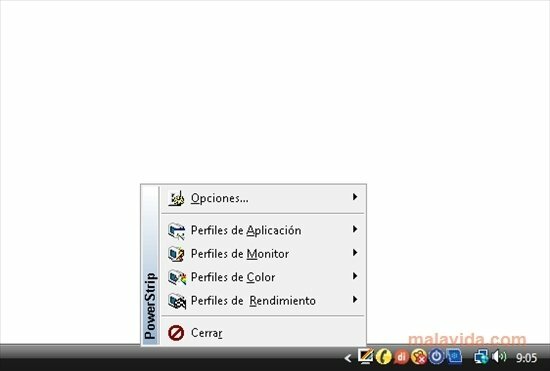 If you want to modify any detail about your computer's graphic performance, download PowerStrip as soon as possible. The trial version doesn't allow you to save the settings.